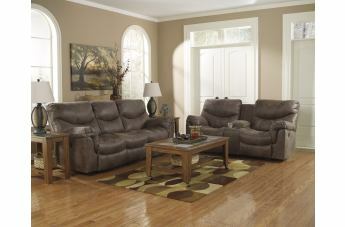 The Alzena-gunsmoke living room collection features a casual style with a soft fabric upholstery. 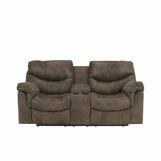 Designed to furnish family sitting rooms, this collection will help to create a casual feel within your home. 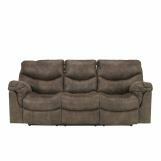 The over-stuffed cushions and pillow-topped arms will provide soft elements of comfort for a relaxed environment that is ideal for couples as well as families. Jumbo stitched details complete each piece with a tailored look that remains casual. 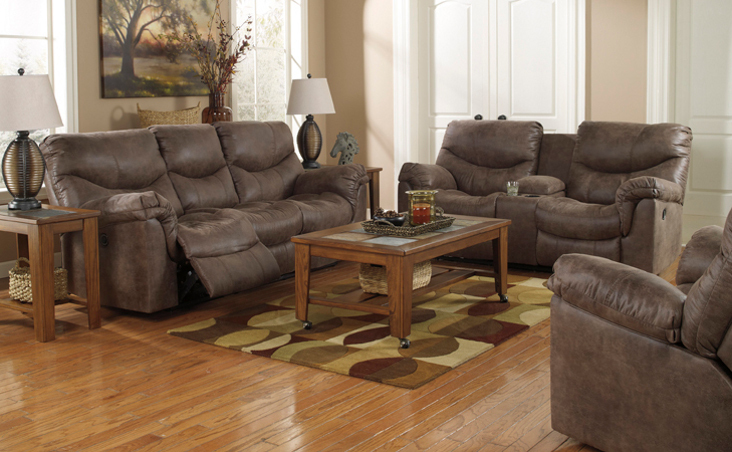 This collection is comprised of a sofa, loveseat and rocker recliner. 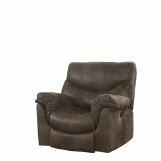 Each piece is also available in a standard recline and power recline option.